All PT LOT 33 DAF COM SE COR homes currently listed for sale in Peoria as of 04/20/2019 are shown below. You can change the search criteria at any time by pressing the 'Change Search' button below. 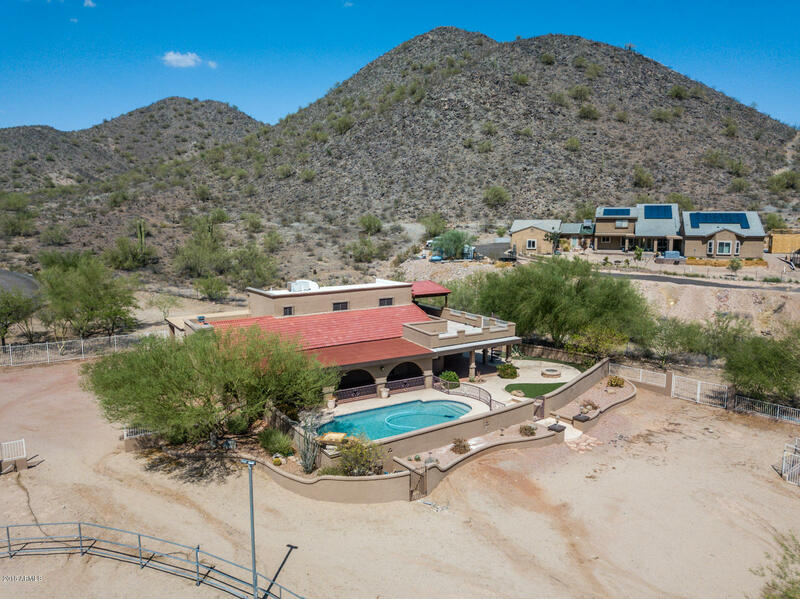 "Amazing Horse Property on 1.548 Acres* Backs up to the Beautiful Sunrise Mountain Preserve* Huge Master Suite Upstairs has Observation Deck with Spectacular View of the Mountains and City Lights with Spiral Staircase for the Late Night Swim* Two Master Suites* Beautiful Remodeled Kitchen with Upgraded Cabinets, Granite Counter-tops, Stainless Appliances & Kitchen Island* Family Room with Cozy Fireplace* 3.5 Baths Remodeled* Formal Dining Rm. * Den w/Private Ent. w/ Attached 2 Car Carport* 6 Stall"